for serving with the meatballs. 1. In a large mixing bowl, combine the bread and milk. Let it soak for 5 minutes. Mix with the eggs, then combine with the cheese, Worcestershire, parsley, Italian seasoning, garlic, salt, and pepper. Then thoroughly mix the ground chuck (with a spoon or by hand) and let it rest and absorb the flavors for another 5 minutes. 2. Preheat oven to 450 degrees with the rack in the upper third position. Line a baking pan with parchment paper then partially coat with a slathering of marinara. 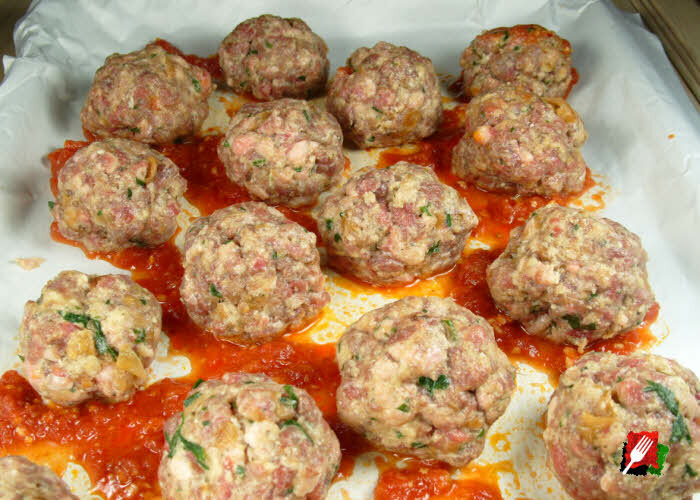 Form 1″ to 1 1/4″ meatballs and place on the prepared baking sheet. Bake for 10 minutes. 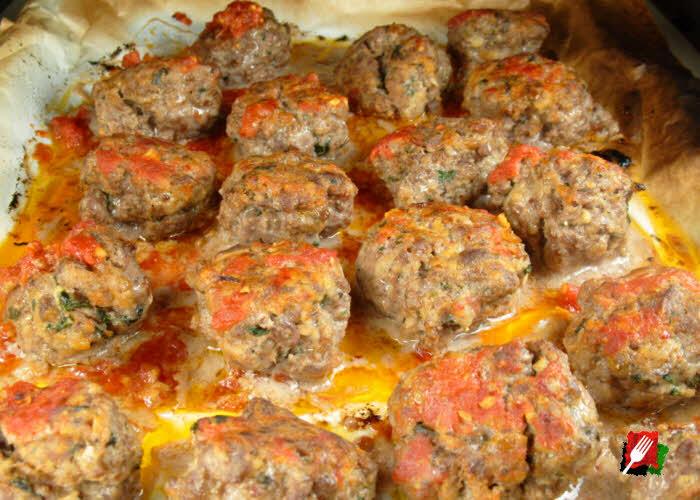 Turn meatballs over, reduce heat to 325 degrees and bake for an additional 10 minutes1 or until browned evenly. plus more for serving with the meatballs. 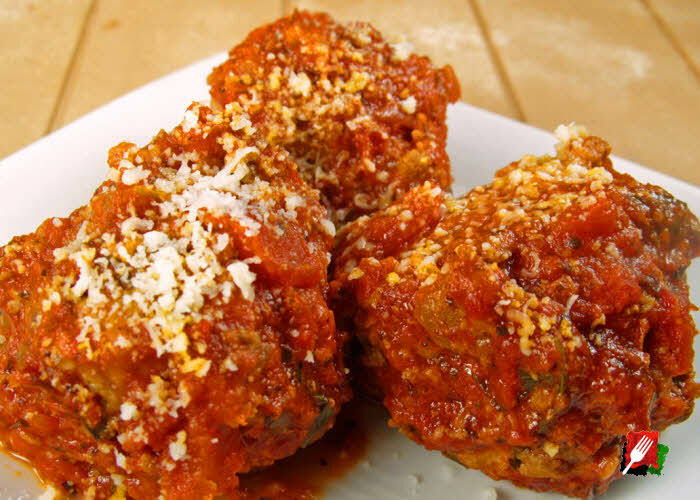 1The actual cooking time varies depending on the size of the meatballs and the temperature of your oven. 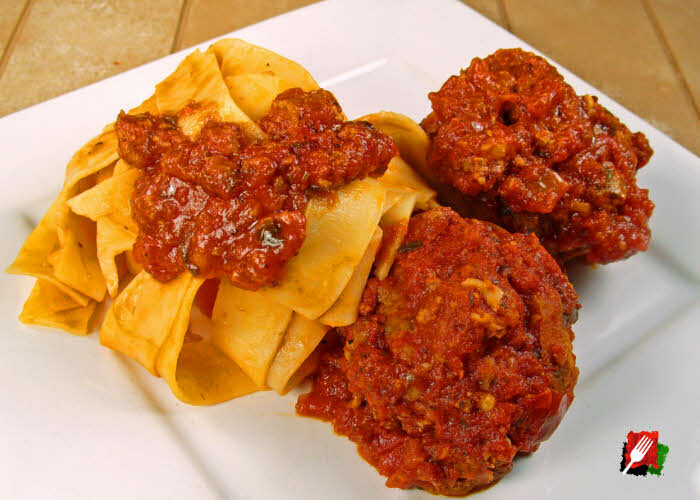 Adjust the cooking times and temperatures accordingly depending on how your prefer your meatballs to be cooked.